Love lemon meringue pie? Give this lemon pie pancake a try! 1 whole egg, 1 tbsp almond milk or water,1 scoop of vanilla whey and 2 tbsp of coconut flour. Cook on pan as you would a normal pancake. 1/4 cup Greek yogurt, juice of 1/2 lemon, 1 tbsp coconut flour and 1 stevia packet to taste. Put lemon mix on your pancake. 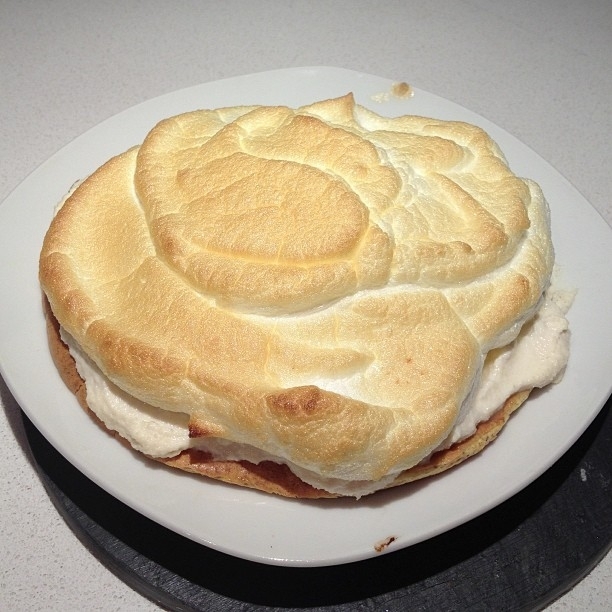 1/4 cup of egg whites an 1 packet stevia to taste (just mix the crap out of it until it forms meringue). Put the meringue on top of everything and broil for about 1 minute. And done :) you can make it the night before and eat it cold in the morning if you want!